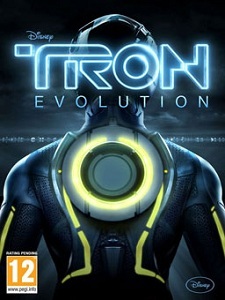 Movie tie-ins are notorious for poor visuals, repetitive game play and an overall sense of having been rushed through production, yet this is not the case for Tron: Evolution, which hit stores in late November. Although some aspects of the game, available on both the Xbox 360 and PS3 platforms, do feel a little clumsy and rushed, the overall experience of Tron is certainly a rewarding one and well worth the price tag for movie and action game fans alike. The graphics are arguably the most striking aspect of Tron, something which is yet to have failed to gain high scores in gaming magazines across the globe. Borrowing heavily from the cyberpunk theme of the recently released movie, the game offers a dazzling blur of neon colors and highly polished environments, all of which serve as a gripping backdrop to the action of the game. The dark, almost gritty action of the science fiction universe which Tron: Evolution takes place in is strongly reminiscent of movies such as Blade Runner, and movie fans will see countless references to the Tron movies in the levels and locales. There is nothing more satisfying than watching your avatar as he glides gracefully across ravines and navigates the maze-like environments in a hail of flashing neon lights. The ‘grid’ of the movie has been painstakingly recreated to ensure visual satisfaction in all the game stages. Unfortunately, the game play of Tron: Evolution does not always live up to the very high standard set by its visual and technical capabilities. The game’s action is essentially split between fast-paced platform challenges, combat and the occasional racing section on a ‘light cycle’ or tank. The exploration on foot in Tron: Evolution is strongly reminiscent of the Prince of Persia franchise – just like the prince, Tron’s protagonist Anon can run across walls and leap wide chasms with ease. This so-called ‘free running’ begins as a fun and visually enjoyably way to explore the environment, but the levels are so similar that it quickly becomes repetitive. By the same token, the racing sections on the ‘light cycle’ are few and far between and rarely add much to the game play, exciting as they may be. Tron’s only redeeming feature in terms of game play is the combat, which rarely gets dull due to Anon’s plethora of combat abilities and the variety of foes standing in his way. The soundtrack, just like the movie, is a mixture of Daft Punk-inspired dance tracks and abrasive rock music, which really adds a sense of intensity to the combat and racing levels in the game. Alongside Tron’s stunning visuals, the heart-pumping music and realistic sound effects, particularly those used for the ‘light cycle,’ prevent Tron from being a completely prosaic gaming experience. Unfortunately, due to its protagonist being mute, voice acting only plays a minor role in the game, and the handful of voice actors employed are rarely impressive or convincing. Immersion, however, is an area which Tron genuinely excels in, not only because of its impressive graphics and soundtrack, but also the constant references to the Tron universe. Those who enjoyed the blockbuster from the nineteen-eighties and its recent sequel will find a wealth of familiar friends, foes and locations in the game. Many of these are painstakingly recreated and the story itself, which takes place between the two movies, acts as an effective bridge between these opposing narratives. To conclude, Tron: Evolution offers a visually impressive gaming experience, which more than makes up for the repetitive nature of its action sequences and lackluster voice acting. Fans of the movie will enjoy the nostalgic feel of the game’s visuals, and curious newcomers will certainly find something in Tron’s game play to keep them entertained.